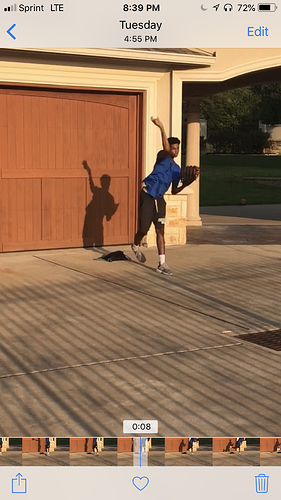 While it might look quite bad in that picture I am a 16u (I’m 15 and a new sophomore I play up) showcase center fielder and able to hit low 80s off a crow hop on a good day. However are there any drills to fix my “dart throw”? It is difficult to say why you throw with your elbow out in front of your head without a video. We would need to see your mechanics or movements and what causes this action. Your release (leading with the elbow) is a result of what happened in your movements leading up to this action.